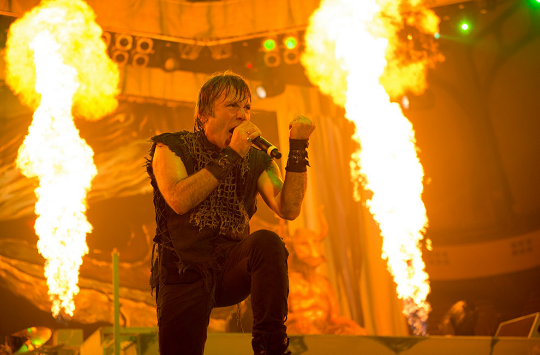 Iron Maiden’s Bruce Dickinson has been recruited to deliver the keynote speech at the Craft Brewers Conference And BrewExpo America. That event will be held in Denver, CO on April 8-11. Iron Maiden frontman Bruce Dickinson and Wargaming’s World Of Warplanes have shared the 10th episode of “The Bruce Dickinson Warplanes Diaries.” The series features ten educational videos about the classic World War 2 fighter and bomber aircraft, and the latest clip focuses on the Messerschmitt Bf 110. Iron Maiden frontman Bruce Dickinson and Wargaming’s World Of Warplanes have shared the ninth episode of “The Bruce Dickinson Warplanes Diaries.” The series features ten educational videos about the classic World War 2 fighter and bomber aircraft, and the latest clip focuses on the P-51 Mustang.